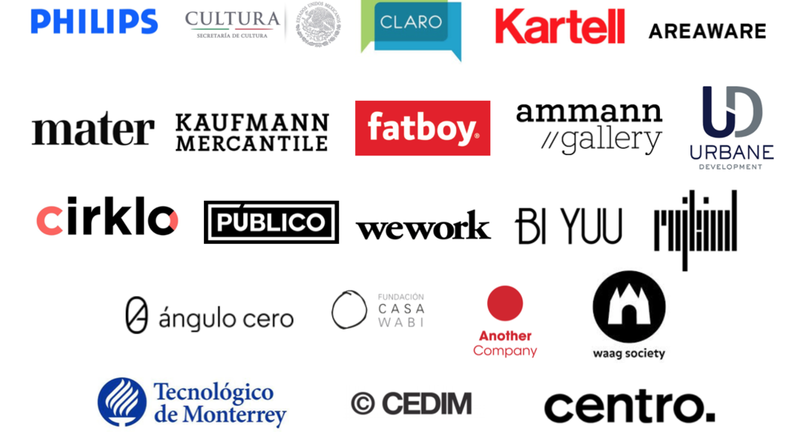 Studio José de la O is an interdisciplinary design agency specialized on innovation. The studio was founded in Eindhoven (NL), 2010 and relocated in Mexico City on 2013. We do not find any limitations on what can we do. By obsessively applying our values to any kind of project, we are constantly learning to dominate different disciplines, from product design, visual identity, advertising, creative consultancy and new strategies that can create new values to benefit society. Studio José de la O is a proud member of Reach, a global network of agencies specializing in human-centred design research and service innovation. The Network collaborates with multinational companies and non-profit organizations seeking to improve existing services or develop new offerings in multiple foreign markets. José de la O earned an Industrial Design Bachelor Degree at Iberoamericana University in México City and and a Masters Degree on Conceptual Design on Context at Design Academy Eindhoven. After finishing at Design Academy studies, he founded Studio José de la O in the City of Eindhoven in 2010, and relocating to his hometown Mexico City. De la O is a co-founder and active member of Cooperativa Panorámica, runs the design-driven cultural initiative,”The Chair that Rocks”, is the Creative Director of his Design brand “delaO” and co-produces the Spanish speaking design podcast Fuera de Contexto. During his time in The Netherlands, Jose de la O has been a guest lecturer at the Design Academy Eindhoven and speaker at Open Designism, Care Cross Café and Mediamatic. Later in México, he performed as a Speaker at several design events such as Design Decode, Factor Clave (ITESM Campus Querétaro), Oxymoron (ITESM Campus Monterrey), Cisibero (Universidad Iberoamericana, México City), among others. He had taught Industrial Design at Universidad Centro and Universidad Iberoamericana in México City. Currently, he is a full time professor at the Monterrey Institute of Technology teaching and generating research work on how to bring design closer to society. His work has been exhibited in Ventura Lambrate during the Milan Design Week, Inside Design Amsterdam, Dutch Design Week, “Fábrica Mexicana” in the MAM in México City, The Future Perfect in New York, the Design Museum in Taipei, the Shanghai Museum of Glass and countless design exhibitions overall in México.